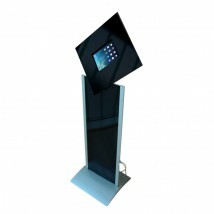 Display Tablets in Style | High Quality | Delivered On Time. 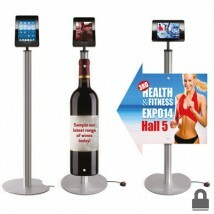 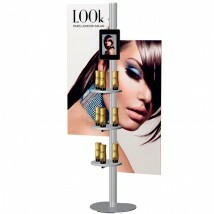 With advances in technology, it is important to incorporate the latest devices in your trade show or retail display. iPad stands and tablet displays are ideal for a variety of applications including in-store promotions, restaurants, interactive displays, exhibition stands, trade shows and much more. 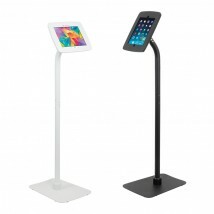 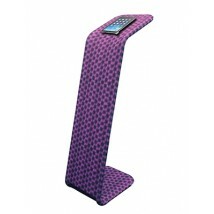 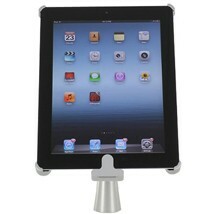 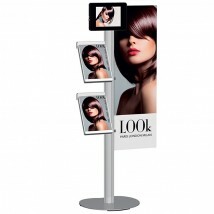 We have selected a range of iPad stands to meet the requirements of modern display stands at market beating prices. 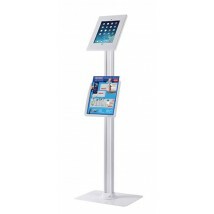 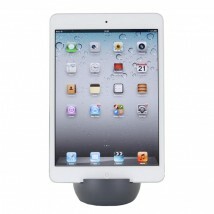 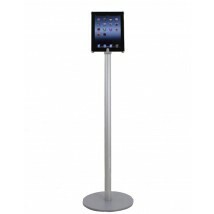 Choose from floor standing iPad stands, wall mounted tablet displays, tabletop stands and iPad holders. 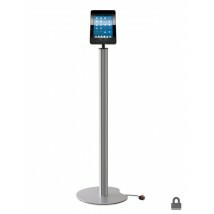 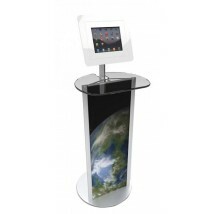 For more information on any of our iPad stands, call our experts on 0844 800 1020. 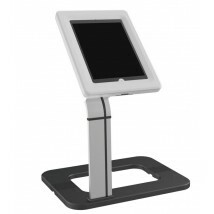 Tablets are everywhere nowadays and are becoming a cost-effective way to offer an interactive experience to customers in retail stores as well as in exhibition and trade show environments. 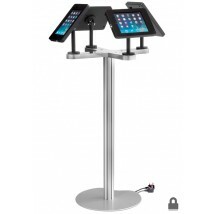 But how do you display your tablet in an ergonomic and secure way to give your users the best experience and protect your investment? 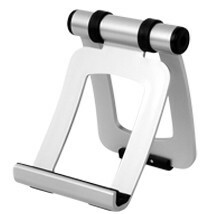 We have a handy refine by function on the left-hand side of this page to help you choose the right iPad tablet stand, but for a little more in-depth buying information please read on. 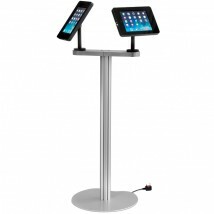 Your first consideration will be to choose a stand that fits your type of tablet. 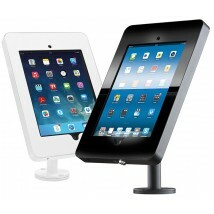 Apple used to dominate the market but now Amazon, Samsung and other Android tablets are gaining ground. 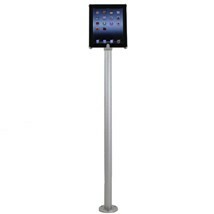 Using the refine by function on this page you will be able to quickly filter out stands that are unsuitable for your tablet size. 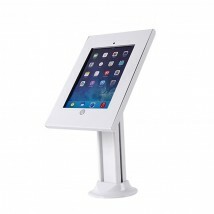 Quite a few products we sell have a universal holder that can accept a wide range of different tablets from an iPad mini display up to the largest displays by having an adjustable enclosure. 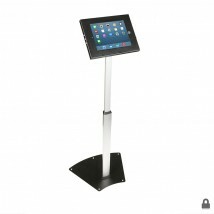 One of the most important questions you need to ask yourself is whether you need the tablet holder to have anti-theft security features and how secure do they need to be? 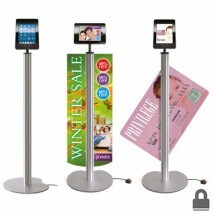 All the anti-theft security features are intended to deter theft rather than prevent a determined attack. 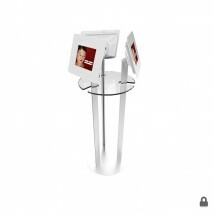 First stage defence is the case, which varies depending on your stand from a simple click together plastic cases to a more durable metal lockable unit. 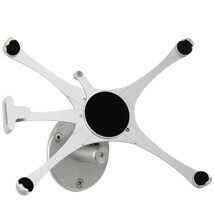 Locking can be either be a simple Allen key type fitting or a key lock. 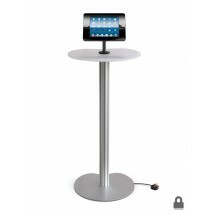 These stands by default are portable and lightweight, so even if the case is locked the whole unit including tablet could be taken. 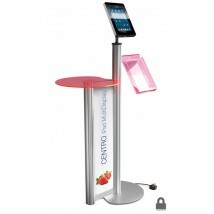 If you feel this is a risk you need to think about being able to secure the display to the floor or a counter. 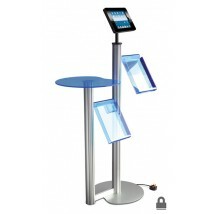 Vulnerable locations could be self-service kiosks in retail environments or for a tablet used next to a cash register. 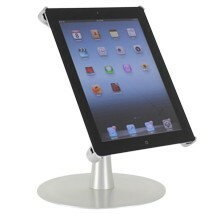 In this case, you can opt for a stand bracket that can be bolted to a counter or to the floor. 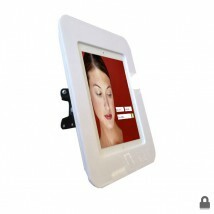 In addition to the physical security solutions our stands provide, you can also buy third-party protection such as alarms. 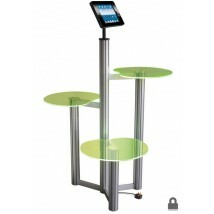 The first decision is do you want a freestanding plinth or a table mounted unit? 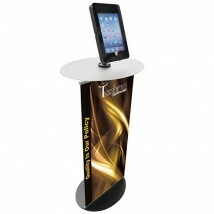 Our stable floor stands are particularly popular for trade show displays where space is limited and being freestanding they allow your iPad to be positioned where it can be seen best. 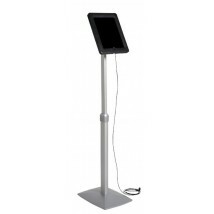 Tabletop iPad desk stands are a popular choice in environments such as shops for POS information or airports where you might have a counter tablet used for self-service applications. 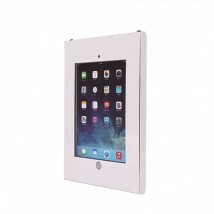 The third type of enclosure is for wall mounting; these can be either static or have tilt and rotate features. 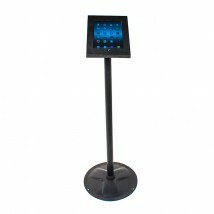 Take into consideration how your customer might view the tablet. 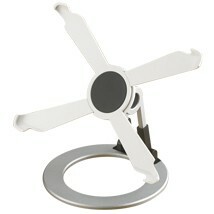 Cheaper mounted units will have a fixed height and angle. 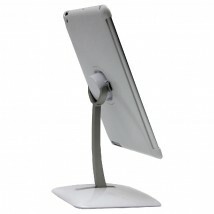 The more expensive designs are more flexible and allow the user to tilt the angle and rotate the display for optimal viewing. 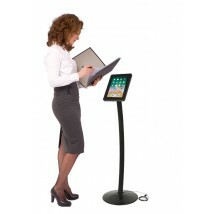 What functions do you want your customers to be able to use? 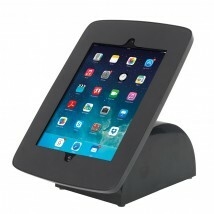 It is always a good idea to go for a design that allows you to charge your tablet while it is in the enclosure. 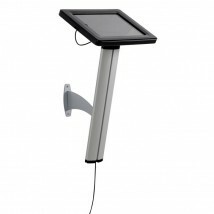 In some circumstance such as an outdoor event, you may not have access to power. 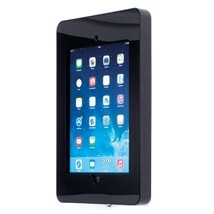 If you need to use the tablet beyond its normal battery life you can use an external battery, which can double the usable time of the tablet. 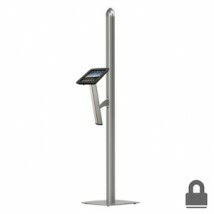 Other features that you may or may not want users to access are the home button which can be open or locked, the forward facing camera for facial recognition or a headphone jack to allow the use of headphones. 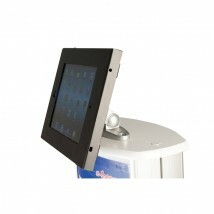 Many of our holders are available with the option to reveal or enclose these features when the unit is closed. 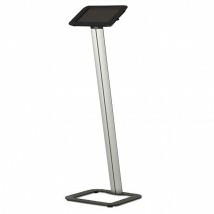 Customers quite often want to have their logo or a message on the tablet stand. 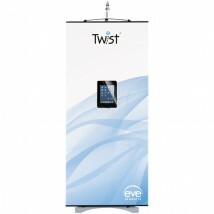 For larger orders, we would look at screen printing the logo and for smaller and one-off orders using self-adhesive graphics offers a cheaper alternative. 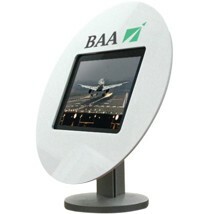 If you can't see the option for a printed graphic on your chosen model, get in touch and we will work with you to see how to best produce the print. 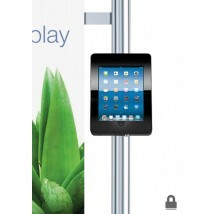 Branding of your tablet or iPad holder works particularly well as part of larger exhibition stands and displays as you will have a huge amount of footfall in close proximity and it's important to capture their attention visually. 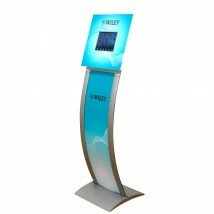 What better way to do this than with an interactive screen with a branded surround.